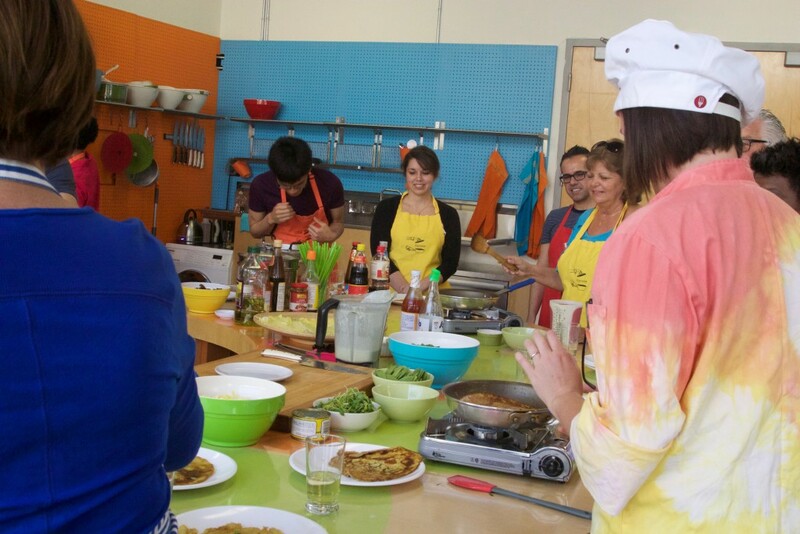 Hipcooks Chinese Cooking Class in Orange County California is a hands-on cooking class for both new and experienced cooks held in a bright and cheerful studio. They have a wide variety of different cuisines and classes to choose from, and I will definitely be back for more classes! 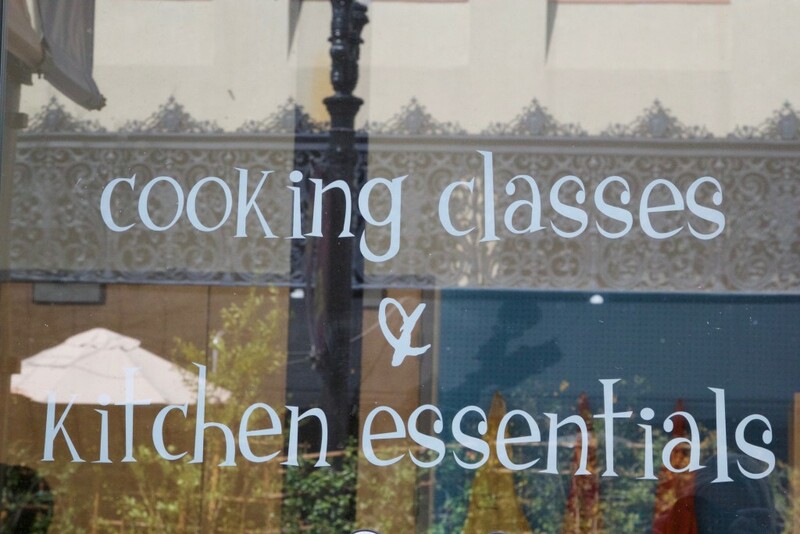 Did I ever mention that I like cooking classes? Well I do, a lot. I love the idea of people gaining confidence and cooking more at home with their families and friends. 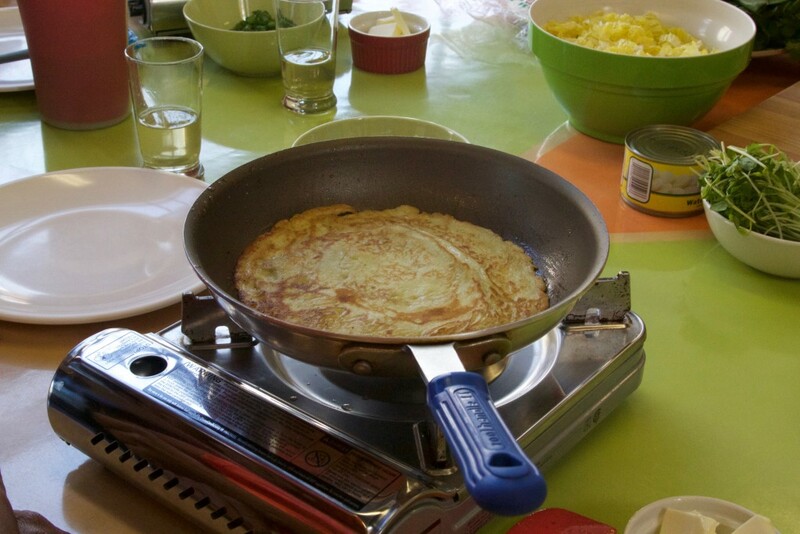 Our class had a great time cooking together, using new cooking skills like flipping our Scallion Pancakes and not using recipes but tasting for balanced flavors. The focus is on the cooking process and taste of the food, instead of recipes, measuring implements, and fancy intimidating cooking gear. 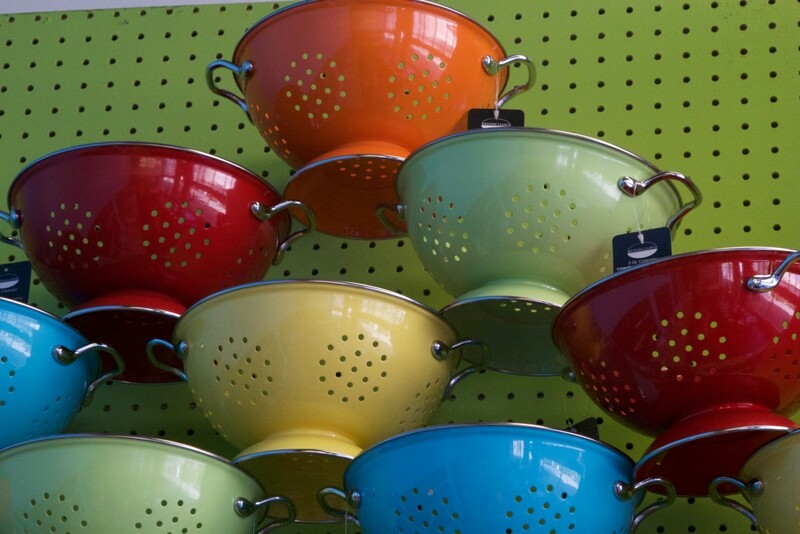 Hipcooks has California locations in Orange County, West & East Los Angeles, San Diego, and locations in Portland and Seattle. Orange Coast Magazine wrote an article about the Downtown Santa Ana Food Scene, and how Hipcooks is a big part of the scene. 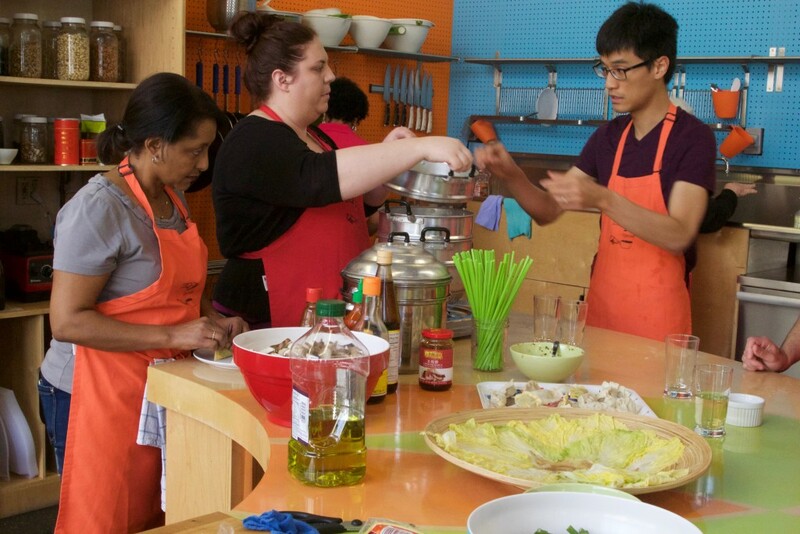 Our wonderful teacher Angie put us in charge of the cooking and encouraged tasting all through the process and taught us about the ingredients to make the dishes full of balanced Asian flavors. 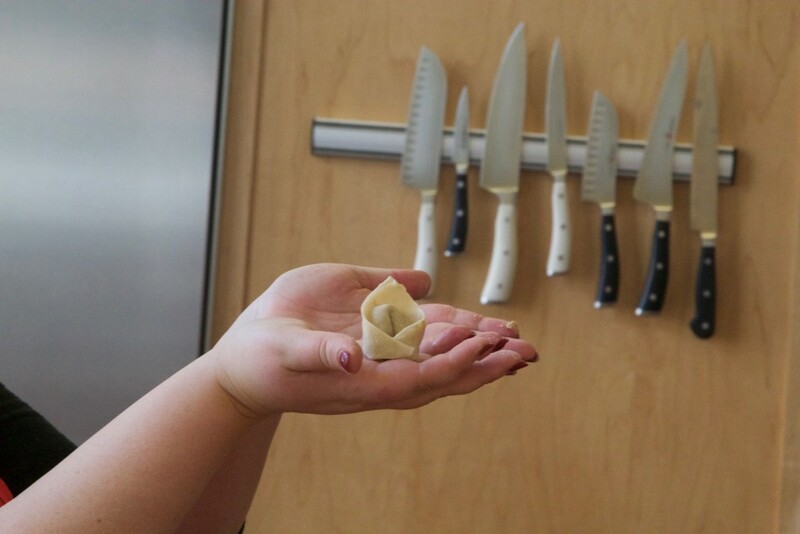 The class is designed to bring “your inner chef” into the kitchen. At the end of the cooking, we had a sit-down tasting and it was delightful. 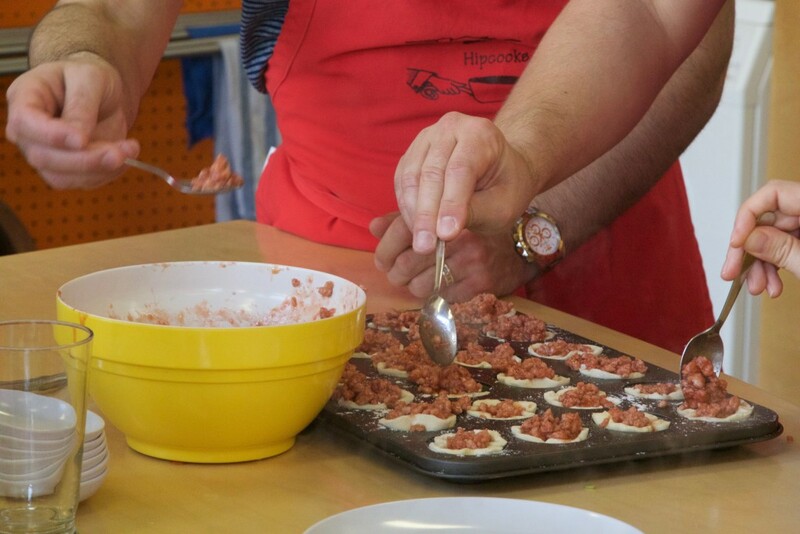 Hipcooks is a fun environment with hands-on (experiential) learning. 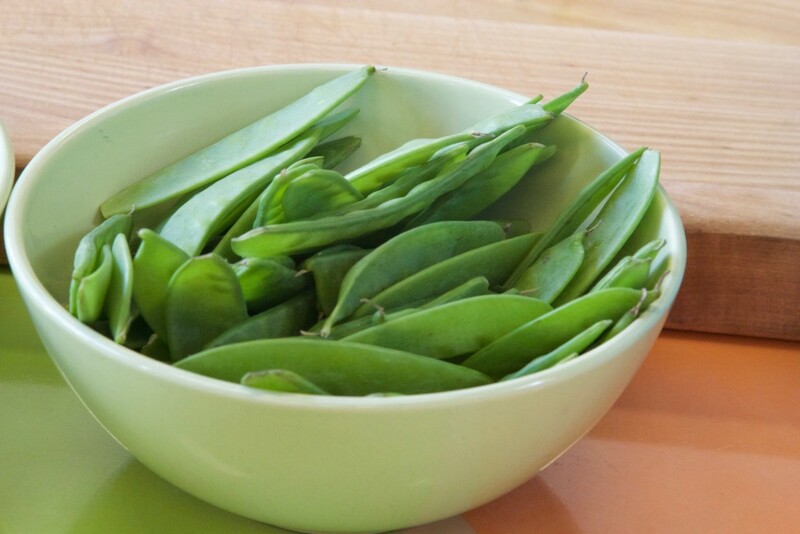 You won’t be divided into groups – everyone cooks together! 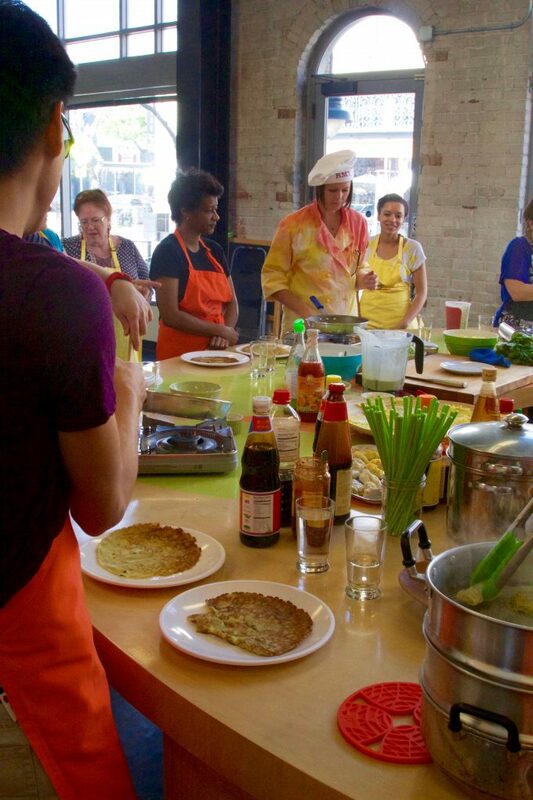 I really enjoyed that part of the class, we all cheered each other as we successfully flipped our scallion pancakes in the pan and were excited to see our skills improve! 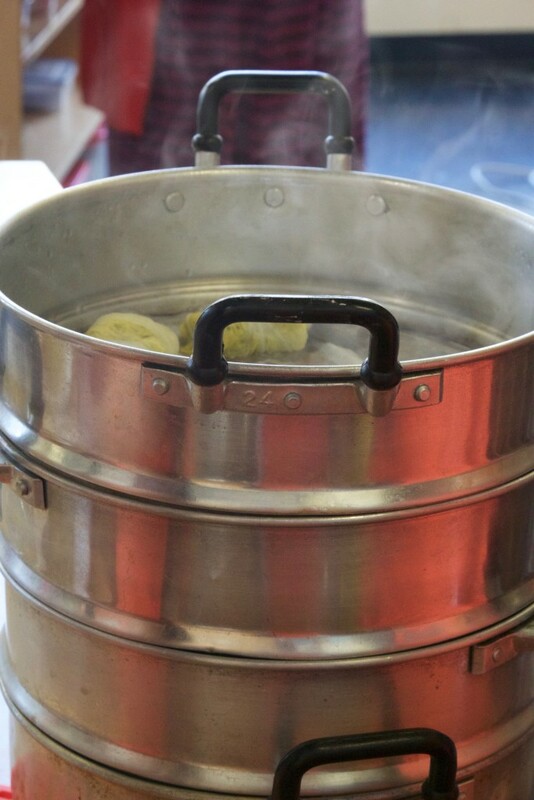 Click here for more information on the classes at Hipcooks. 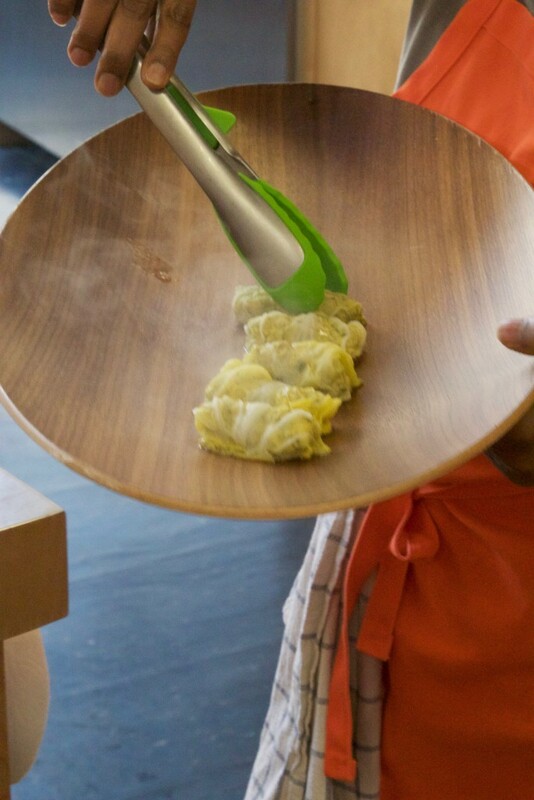 Remember, you won’t find measurements and recipes at Hipcooks. Nope! You’ll get those later (via email) after you attend a class. 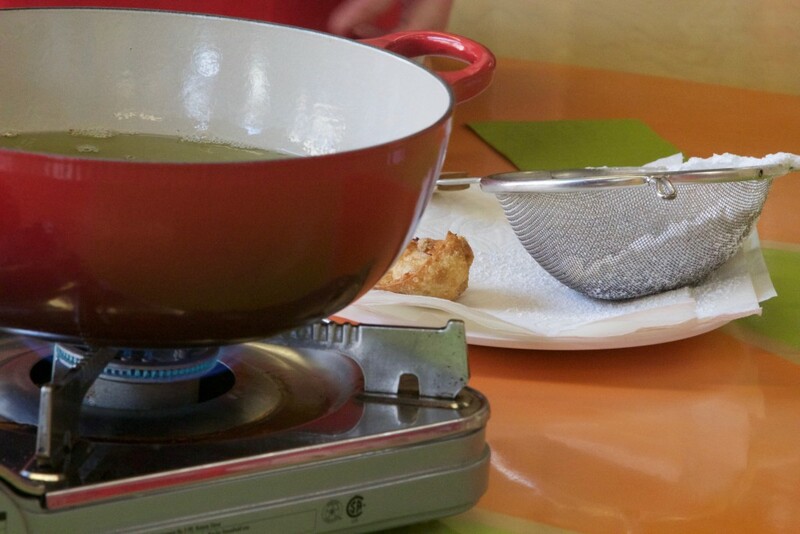 Cooking from a recipe is impersonal (and you already know how to follow a recipe). 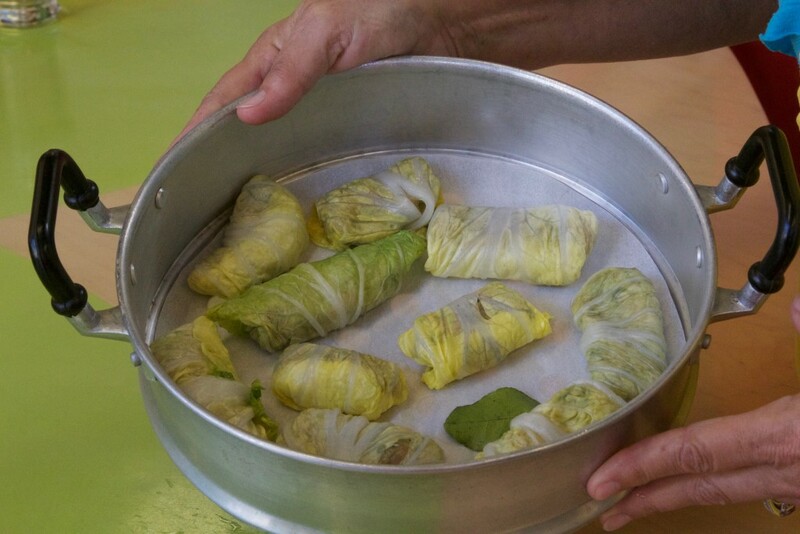 Instead, you are immersed in the theme of that particular class and create the delicious dishes step by step, with explanations and anecdotes along the way. 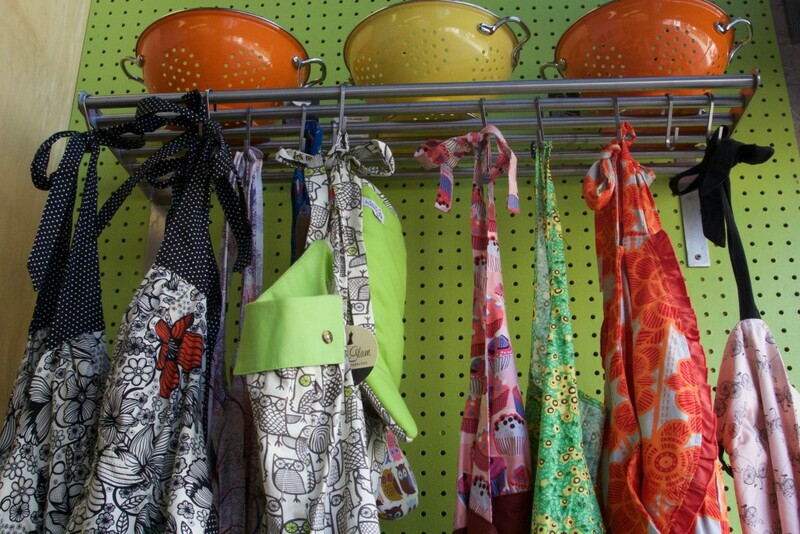 The studio is stocked with bright, fun, and colorful happy cooking essentials it was hard to concentrate with so many wonderful items to choose from and Hipcooks also has a cookbook. 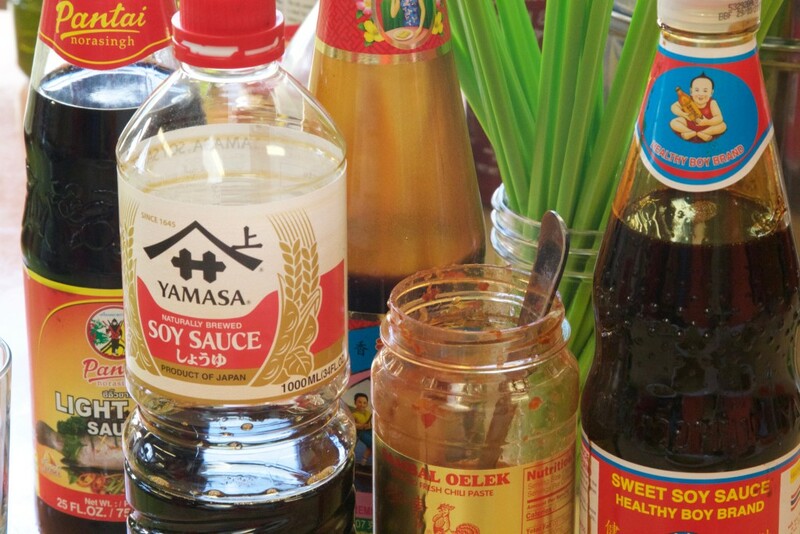 Hipcooks Around the World in 12 Dinner Parties. Please order it here, to have it shipped to your door. 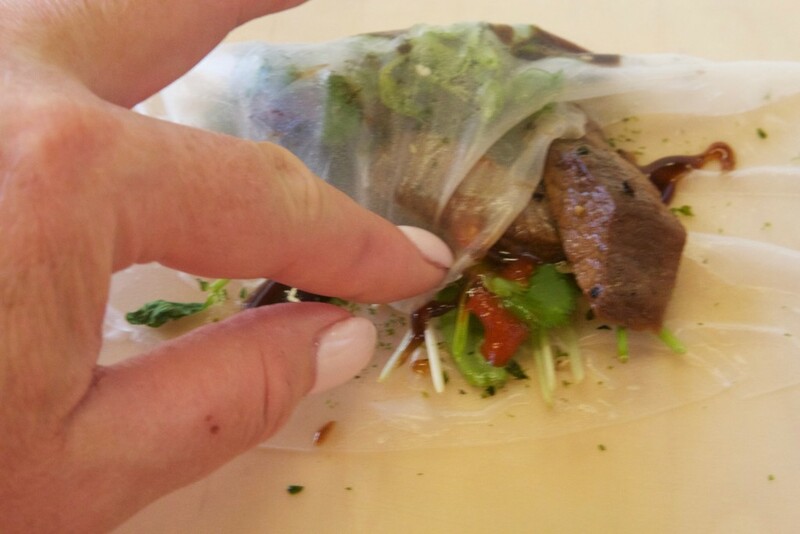 The cooking class started with beautiful fresh ingredients and Asian sauces for our Chinese Menu. 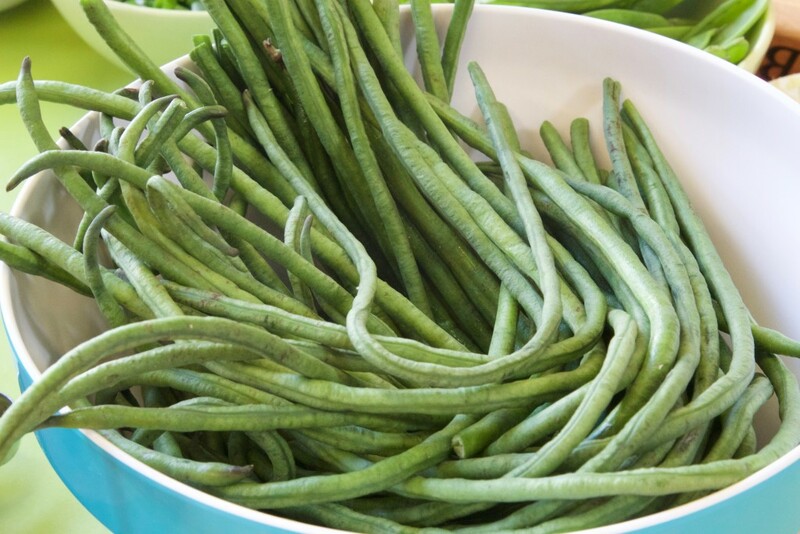 Chinese Long Green Beans, aren’t these gorgeous? I think they will be a star in my garden this Summer! 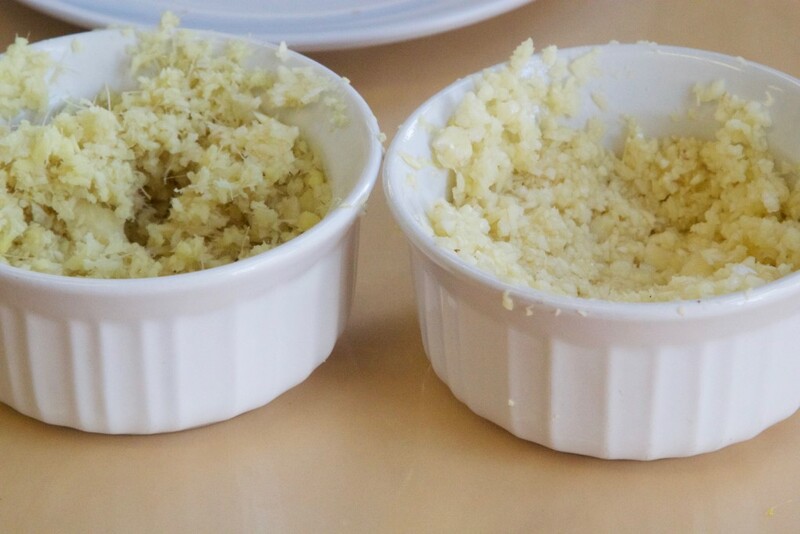 Lots and lots of fresh ginger and garlic prepared in the Cuisinart quickly. 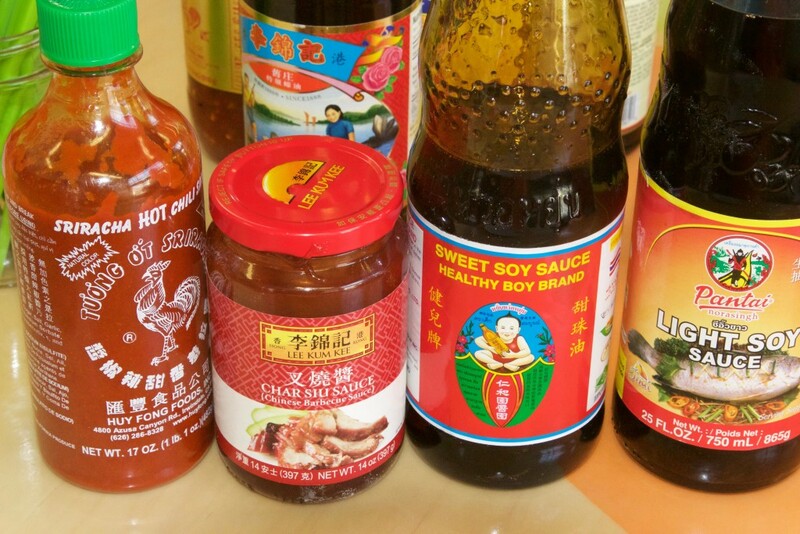 Asian Sauces we used in class, no measuring….just kept tasting before adding uncooked meats. 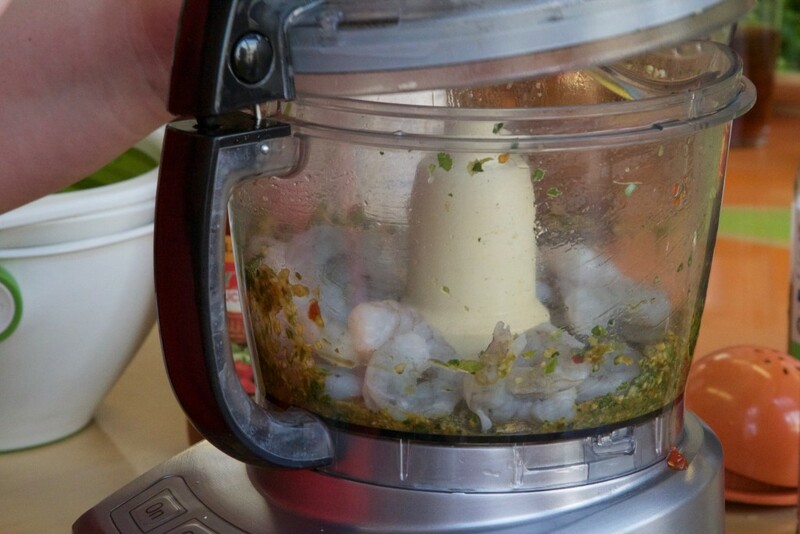 We didn’t measure the ingredients, we tasted the mix without the shrimp and then added shrimp and pulsed to a fine mix in the Cuisinart for the wontons. Scallion Pancakes with Shiitake Mushrooms. 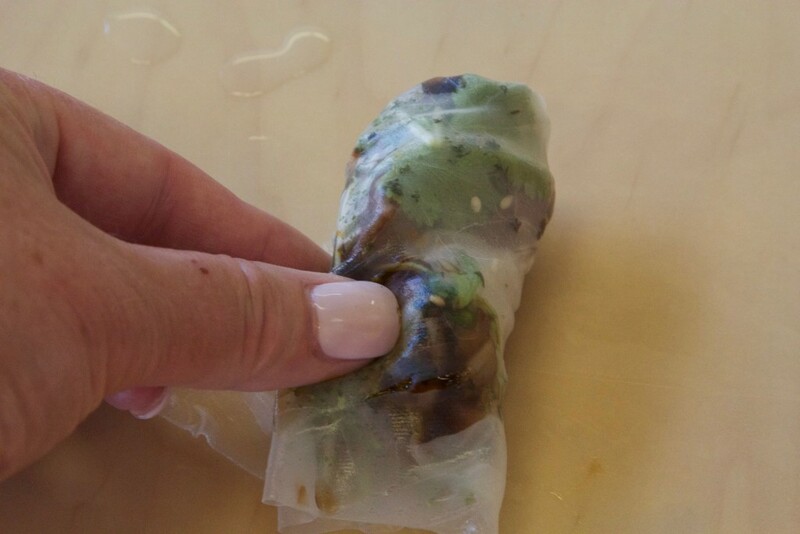 This was one of my favorite recipes from the class, we ate them so fast I didn’t get a finished picture with it rolled and stuffed with mushrooms. 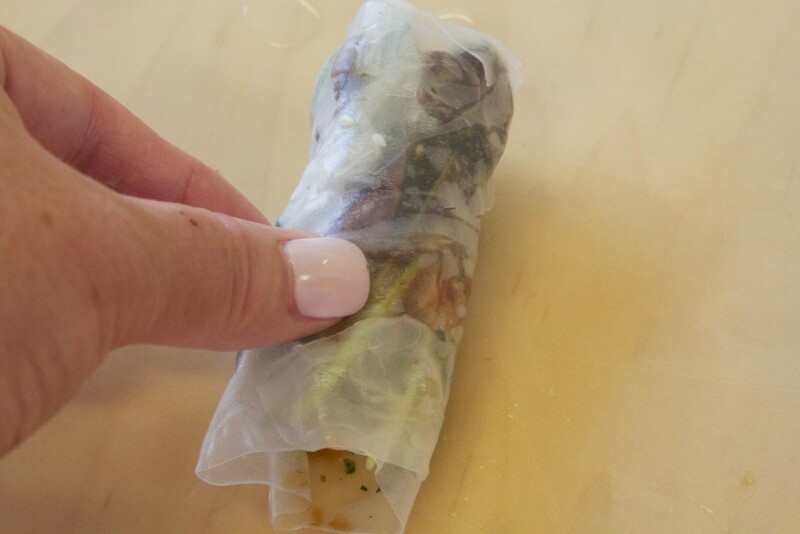 We drizzled hoisin sauce and garnished with cilantro. I think this will be a recipe on Delicious Table, in class we all agreed it was that good! Chinese Style Long Green Beans in an Asian sauce with cashews as garnish. 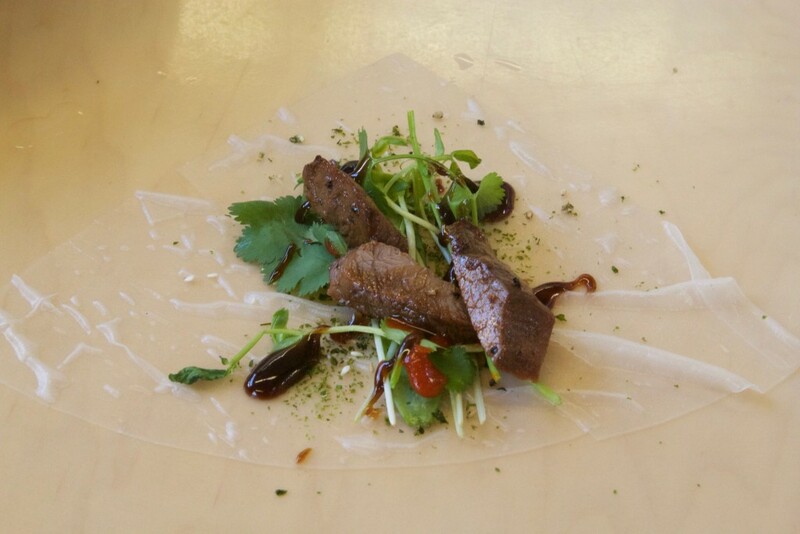 Seared Sesame Beef in Rice Paper. The flavor in these just exploded in your mouth, amazing fresh cilantro tang with a hit of spice and sweetness of hoisin sauce. 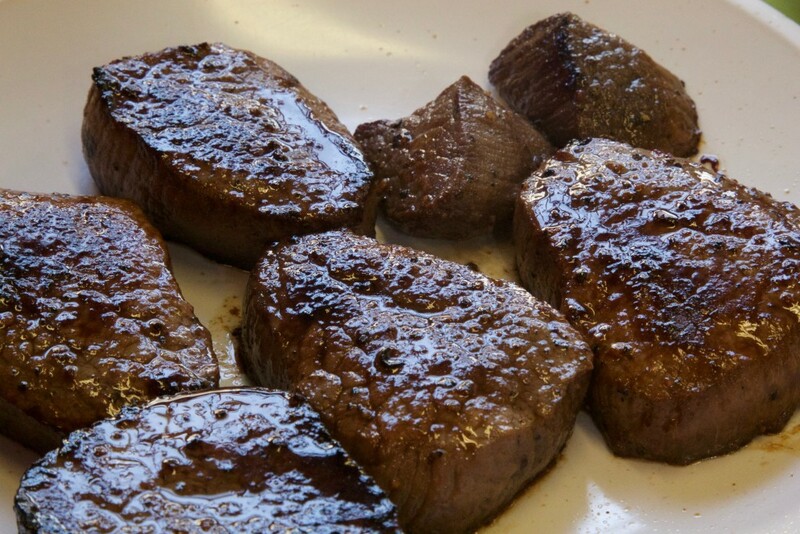 What a great way to use up steak from a dinner party the next day. I am still thinking about the complex flavor layers in this little bundles of joy! 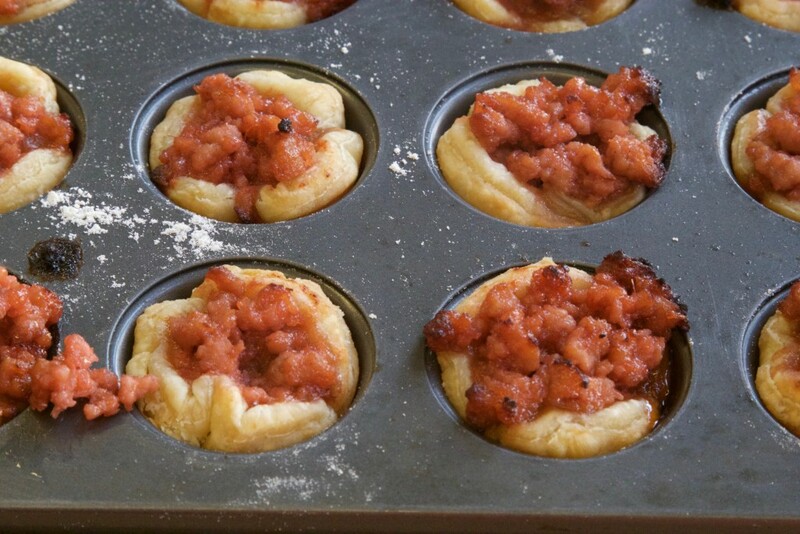 Lotus Flower Pork Puff Pastry with puff pastry, ground pork, and Chinese BBQ sauce. 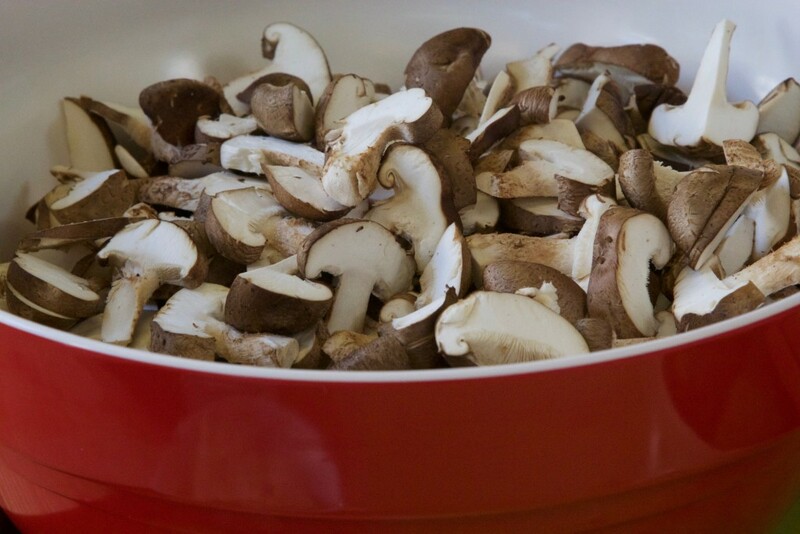 These would be a great appetizer! 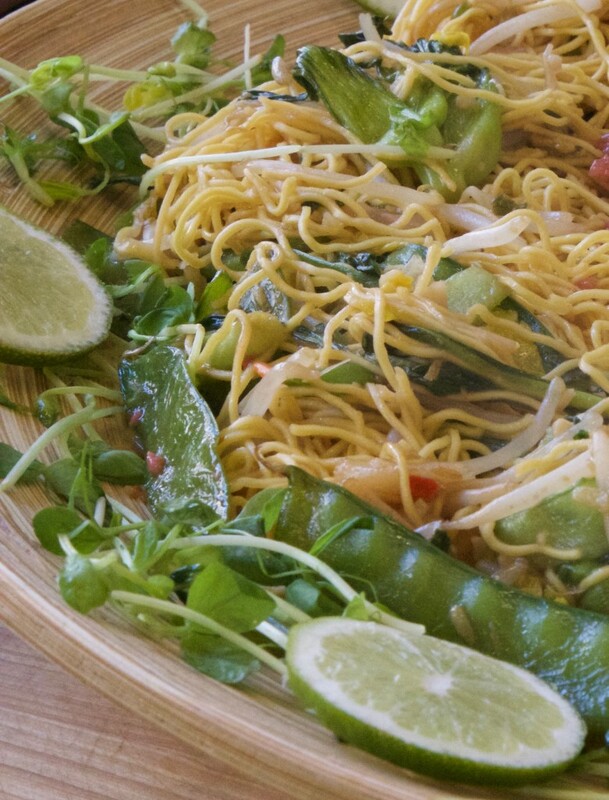 Seared Scallop Lo Mein using lots of fresh vegetables including cabbage, bok choy, bean sprouts, snow peas, and green scallions. 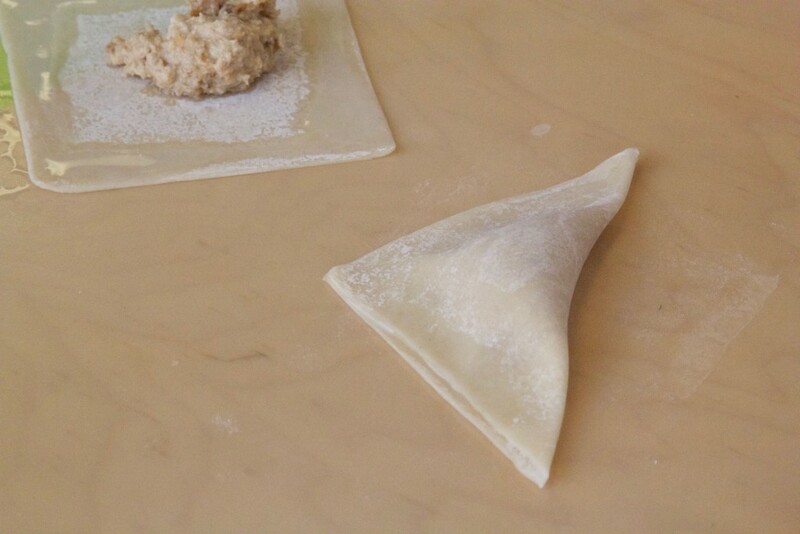 And for Dessert, Sweet Wontons with Orange, Walnuts, and Dates. Refreshing, bright orange flavor, surprisingly yummy. Deep fried and sprinkled with powder sugar. 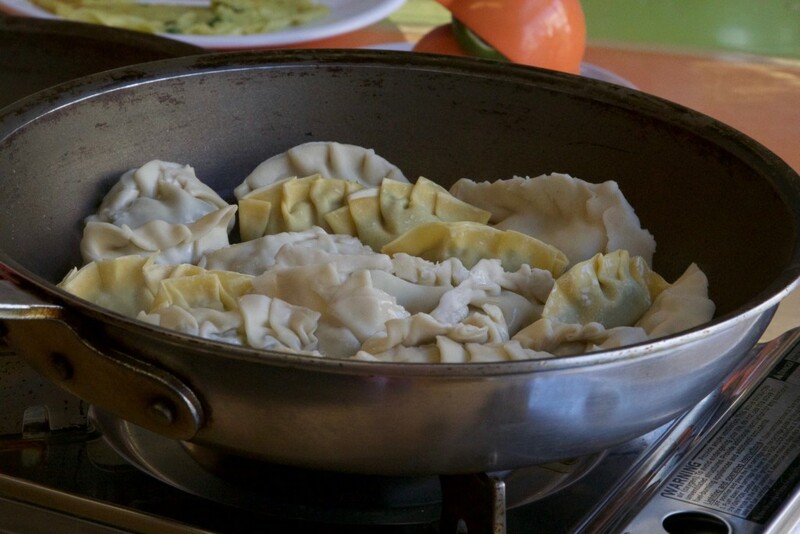 I’m thinking of bringing a group to one of your Chinese cooking classes for the upcoming Chinese New Year celebration. Would you be able to accommodate a small group? There could be any number of us between 5 and 15. 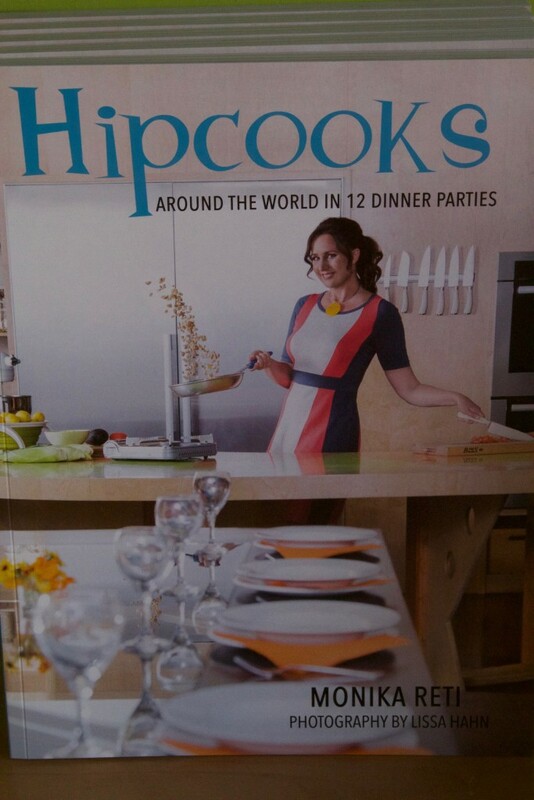 Hey Harry, You can get in touch directly with HipCooks and they can book you! 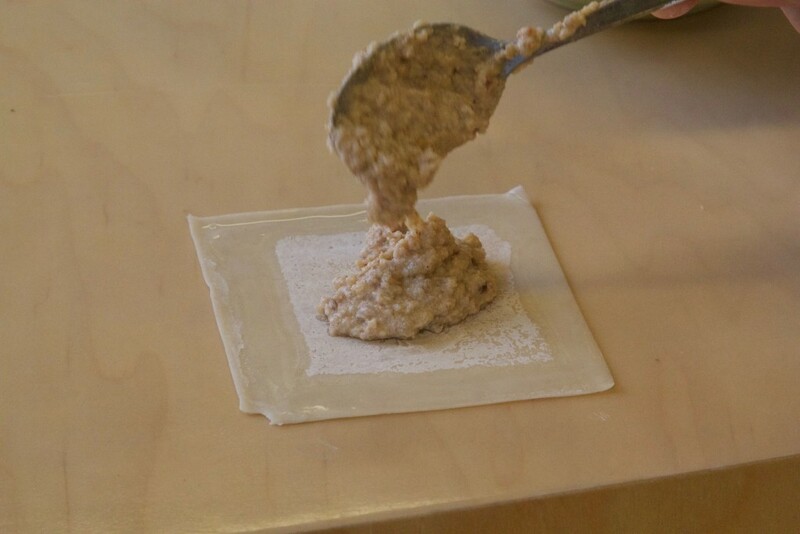 I took a cooking course and wrote a post about it, but don’t own the business. Good luck!